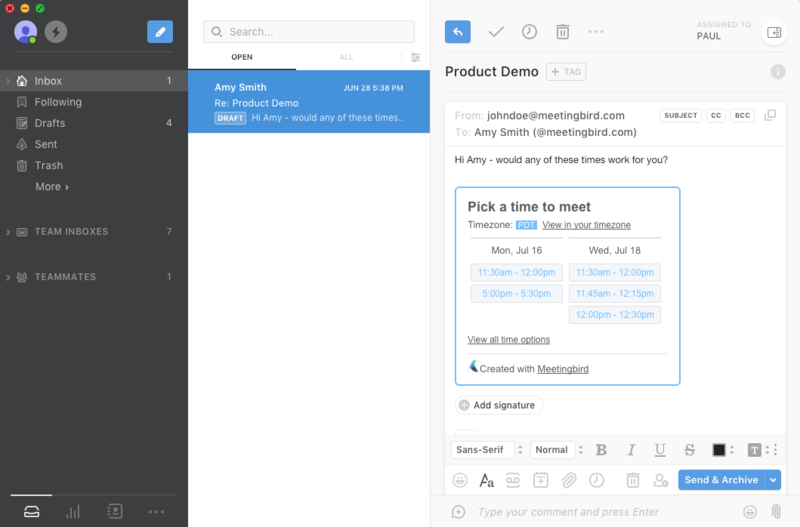 The Meetingbird plugin for Front makes scheduling meetings and managing your calendar from your Front inbox easy. Explore the step-by-step walkthroughs below to learn how to create calendar events and insert potential meeting times into emails right from your Front inbox. 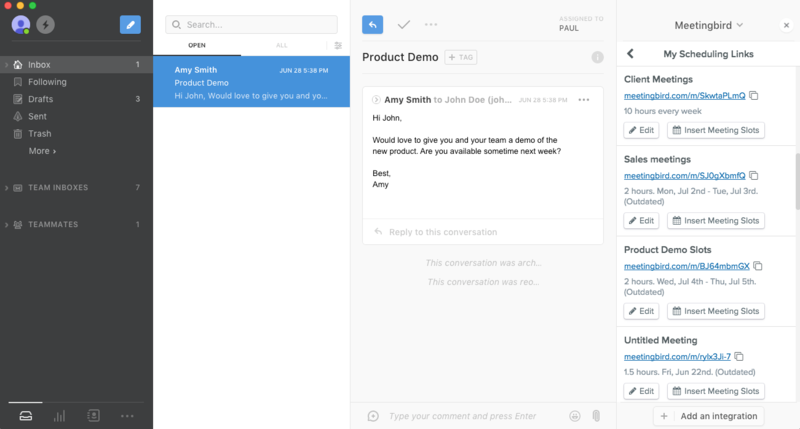 Open the Meetingbird plugin by expanding the right-hand sidebar and choosing Meetingbird. Click the "My calendar" button. Fill in details for the meeting topic, time, location and more. If you're viewing a particular email thread in Front, you'll notice that the topic and attendee fields are automatically pre-populated with the details from that thread. When the recipient receives your email and taps a meeting slot, the meeting will be booked instantly and invitations will be sent to all attendees. Scheduling Links allow you to setup preferences for specific types of meetings (Sales calls, product demos, recruiting interviews, etc.). 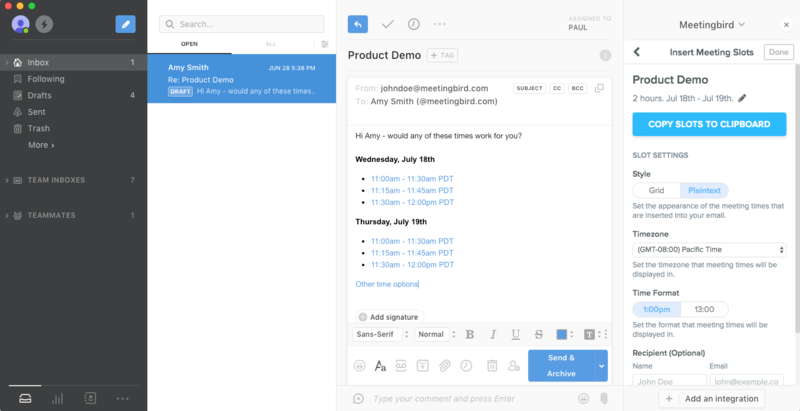 With the Meetingbird plugin for Front, you can access a list of your scheduling links and quickly paste a scheduling URL into an email.